The Ethiopian National Defense Forces (ENDF) today (13) conducts air strikes in Western Oromia targeting military camps run by the Oromo Liberation Army following a string of bank robbery. The Ethiopian National Defense Forces (ENDF) on Sunday morning (January 13) started an aerial operation targeting areas in western Oromia believed to be he held by ex-rebel group, Oromo Liberation Front, OLF. The action is tied to yesterday’s two bank robbery incidents that were reportedly carried out by armed members of the OLF, The Commercial Bank of Ethiopia and the Cooperative Bank of Oromia were robbed on Saturday. Local media outlets are reporting that at least a dozen bank employees, including two bank managers, were taken hostages in the robbery. 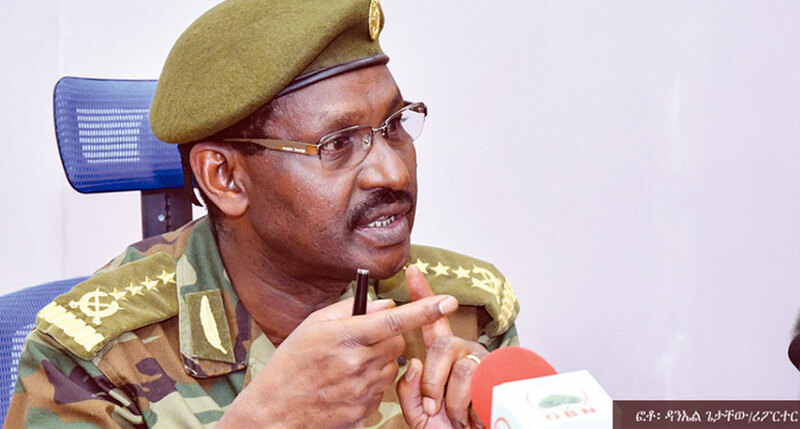 Briefing local journalists on a range of issues on Friday, Deputy Chief of Staff of the Defense Forces, General Berhanu Jula said that grave damage was inflicted in western Oromia by OLF’s armed group in the past few months. But he said things were returning to normal after the intervention by federal forces. The OLF is one of about a half-dozen rebel groups that were based in Eritrea. Its leadership agreed to return home to pursue peaceful political struggle following the Ethiopia – Eritrea peace deal of July 2018. Many political and security watchers have warned that basic disagreement between OLF and the regional and federal government led by Prime Minister Abiy Ahmed could prove fatal for ongoing reforms.